Last week Chanel settled a dispute with at least 24 Amazon sellers who had been selling counterfeit goods. 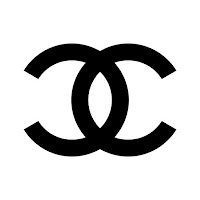 According to WWD, a "Californian judge decreed that the sellers would have to cease selling the counterfeit items and pay $100,000 to Chanel for each item that was sold (Chanel allegedly originally sought $2 million per item) - a total which is estimated to come in around the $3 million mark." Chanel will reportedly receive its damages via Amazon Payments which has been holding from the sellers' accounts. But while Amazon might be a mega-brand just like Chanel, the faux sellers are not. One seller’s proceeds were under $50. The products in issue apparently included Chanel branded bags, T-shirts and phone cases. A secondary issue concerned how the CHANEL mark was used by the sellers to promote the counterfeits appearing in Amazon search results.